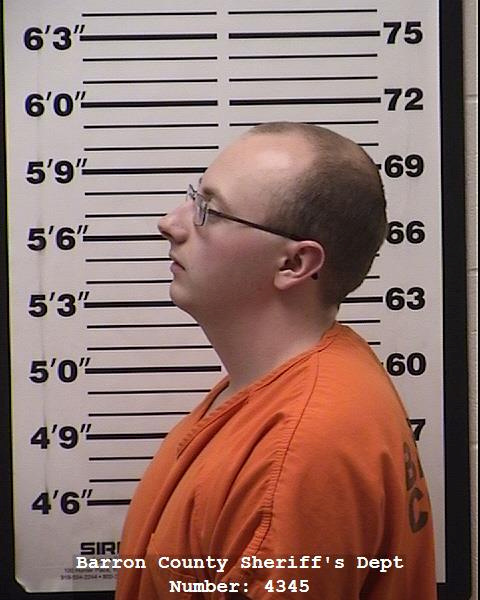 Suspected murderer and kidnapper Jake Thomas Patterson determined he would abduct long-missing teen Jayme Closs after he watched her board the school bus, court documents show. Patterson watched Closs get on a school bus one day while he was driving to work and knew she would be his victim, according to a criminal complaint filed Monday, The Associated Press reported. “[He] knew that was the girl he was going to take,” Patterson told investigators. The admission comes after Patterson allegedly shot and killed Jayme’s parents on Oct. 15 before kidnapping Jayme. Patterson was identified as a suspect Friday, according to NBC News. Prosecutors charged Patterson with murder, armed robbery and kidnapping Monday, according to AP. Patterson allegedly shot Jayme Closs’s father, James Closs, on the doorstep of the family home located close to Barron, Wisconsin. After hearing the gunshot, Jayme Closs and her mother, Denise Closs, hid in a bathtub with the shower curtain drawn and the door to the bathroom locked. Patterson broke through the door and taped Jayme’s mouth before shooting her mother through the head. He drove Jayme to his residence thereafter and kept her hidden for nearly three months. Patterson hid Jayme under a bed surrounded by heavy objects and weights obscuring her from view when company came over. He directed her to be silent, and threatened to hurt her if she did not do so, AP reported. Patterson had gone to the house on two prior occasions with intent to kill and kidnap, and abandoned his plans because the house was too active on those occasions, the complaint alleges. Patterson and Jayme Closs had never met prior to the incident, authorities say. Prior to Closs’s escape, police received over 3,500 tips about her disappearance, none of which led to her discovery, AP reported. Patterson has no criminal record in Wisconsin. No charges of sexual assault have been levied against Patterson.